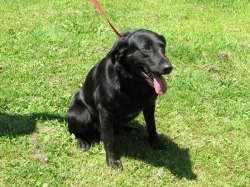 "JACK" is roughly a one-year old Lab mix. He is very sweet and friendly, and he knows some basic commands. Jack was found by campers in the Blain area on Sunday, July 5. If "Jack" belongs to you, please call the Rescue at (717) 567-2100.